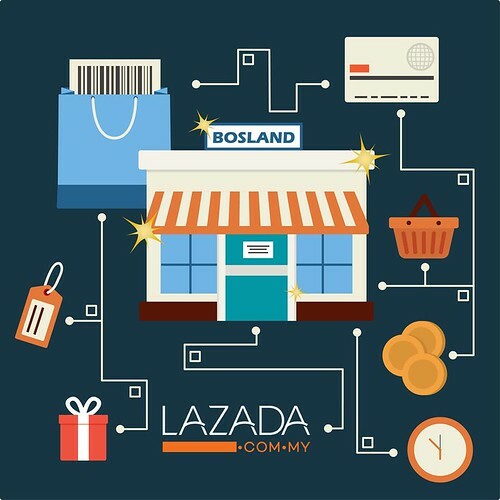 Revamped Lazada Online Store – Blog | Bosland Corp. (M) Sdn. Bhd. Our Lazada Store has been operate for over 2 years, and we had been giving our best deals to our customers. Lazada being the first online platform we joined outside our own Bosland Online Store, has been reaching out to our customers to provide them quality products. Our research team in developing these products insisted on not adding artificial flavouring, artificial colourant nor preservatives to our products. Take the latest series of product, “Raw Beans Coffee Series”, for example, not only we insisted as said, we gradually replaces the instant coffee extract with raw coffee beans powder that went through our super-fine pulverization process. Pulverizing coffee bean into super-fine powder, not only retains the original taste of coffee, but also preserves the functional ingredients of it, such as anti-oxidants inside, which the anti-oxidation effects can’t be obtain through instant coffee extract. This process was previously used for medication production, and now our team has come out with the procedures to adopt this technology into food and beverages. This addition gives our F&B products a new area to explore the capabilities. These procedures are to make sure that our products can satisfied our customers needs, allowing healthy diet and gaining benefits from these products. Lately, there are also new features on Lazada, messaging with merchant and Follow functions. Should you have any query about our products, you may directly chat with our Lazada team rather than searching through other social media platform, or call in our office. With the new Follow the Store function, followers will receive updates from our store, and be the first to know our new deals. In fact, since Alibaba Group purchased over LAZADA, there are a lot of features are being enhance. This shows that the Ecommerce sector is ready to take flight in Malaysia. BOSLAND has the honour to join Alibaba International Platform back in 2017, you may click here to view our Alibaba Minisite. Ecommerce in Malaysia is about to take exponential growth soon, have you start your ecommerce journey? Previous PostPrevious Socialize your ecommerce, but don’t be a nuisance! Next PostNext Chinese New Year Promotion on Our Store! Multiple Voucher to Grab!